Bossons decorative pieces were made by W.H. 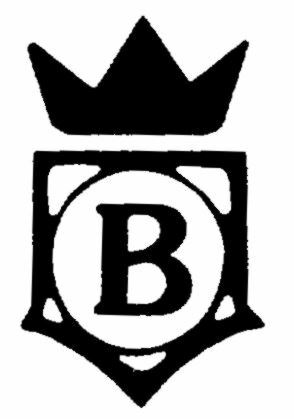 Bossons, Ltd., of Congleton, England between 1948 and 1996. They include wall masks (heads), animals, barometers, mirrors, thermometers, bookends, lamp bases, pottery figures and much, much more! More information and photos are available in the 'About Us - Bossons Artware' tab. Greetings all and welcome to our unique site that is dedicated to Bossons lovers worldwide. Whether you have one or five hundred pieces, you appreciate this art form. We want to share the many different aspects that were offered by the Bossons Company and its many dedicated artists. Many collectors are mesmerized by the eyes, others by the life like features of the face or the beautiful plaques featuring scenes that we can only imagine. If you are interested in joining our "family" or just have a question, please feel free to contact me anytime. I do not have all the answers, but one of our three hundred members probably does. If you have any suggestions or recommendations we would also love to hear from you. So with all that behind us, please feel free to enter this portal under no obligation and I hope to hear from you real soon! The 10th annual 'Bossons Collectors' meeting was held in Congleton, UK on Saturday 18th August 2018 at the Lion & Swan Hotel, and what a superb and interesting event this turned out to be. Read more about this is the September Bossons Briefs! The 2019 European Bossons Meeting is scheduled for August 17th. More information is available on the Events page. Book 1: This book provides an narrative of the development of the W.R. Bossons Company which designed, produced and marketed the renowned character wall masks, figurines, shelf ornaments, Ivorex, Briar Rose and Fraser-Art products. Book I covers information available through 1982. The 9x14 hard cover 238 page book has color photos of over 350 Bossons products. Book 2: Book II of the Imagical World of Bossons chronicles discoveries and developments of Bossons products from 1982-1994. With 176 pages and 515 color photograghs, Book II does not repeat nor is it an update of Book I. Rather it is a continuation of the original work. Book II contains an alphabetical index for both Book I and Book II. Collectors should possess both texts to have a complete reference to aid in the quest for Bossons artware. 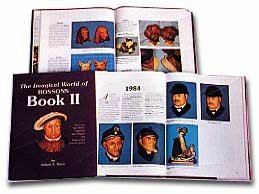 Collectors will find the Imagical World of Bossons Book I and Book II invaluable in identifying discontinued Bossons items. Together these two books provide a complete catalogue of Bossons products. Interested in becoming a member? Click on the link below to learn more about the benefits of membership. How can you learn more about Bossons?